Welcome to the Indie Giveaway! 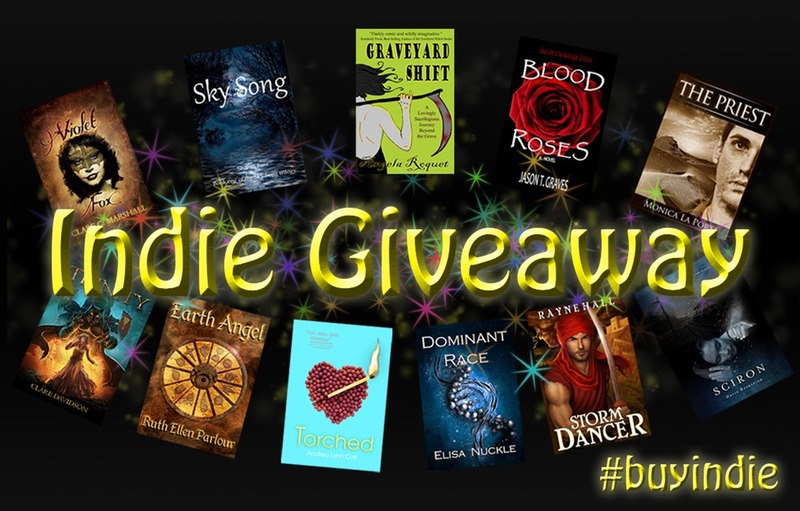 Eleven talented indie authors have banded together to offer you the chance to win two great prizes. The first haul is 11 ebooks. The second is three signed paperbacks and a $20 Amazon gift voucher. Fantastic prizes? I think so! The giveaway is open from midnight GMT on the 25th February until 11:59pm GMT on the 11th March and there’s loads of ways to gain entries. Sky Song, by Sharon Sant: An unknown past. An unwanted destiny. A fight for survival. Dominant Race, by Elisa Nuckle: Lilia, a genetically altered human called a modified, and her allies must choose: help a tyrannical government in the business of killing their kind, or defend someone in the business of killing everyone else? 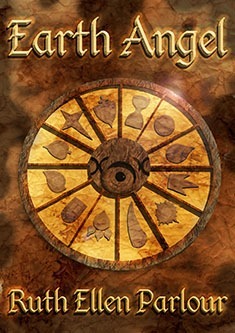 Earth Angel, by Ruth Ellen Parlour: Earth Angels of Eardecia, fighting against their chosen destiny, discover a secret the God’s never told and use it against their sworn enemy. Blood Roses, by Jason Graves: Madeline and Marissa Owen are identical twins who, with their paper-white skin, look a lot like vampires… well, sometimes, looks can be not at all deceiving. Sciron, by David Rashleigh: History, mystery, ghosts and a touch of romance in a Lancashire town. Storm Dancer, by Rayne Hall: Dahoud fights to save the woman he loves from the evil inside him. The Priest, by Monica La Porta: Love doesn’t look at skin color/social status/gender. Society can’t restrain our hearts. The Violet Fox, by Clare Marshall: The Violet Fox is Cinderella meets Robin Hood with a dash of The Little Mermaid. Torched, by Andrea Lynn Colt: When cheerleader Rose Whitfield is framed for arson, she sets out to clear her name and take prime suspect Paxton down hard—not necessarily in that order. Trinity, by Clare Davidson: Three unlikely companions set out to restore a trinity of gods, which was destroyed a millennium ago. And now for the giveaways! Both are open internationally. Giveaway two: 3 signed paperbacks and a $20 Amazon gift voucher a Rafflecopter giveaway Good luck!